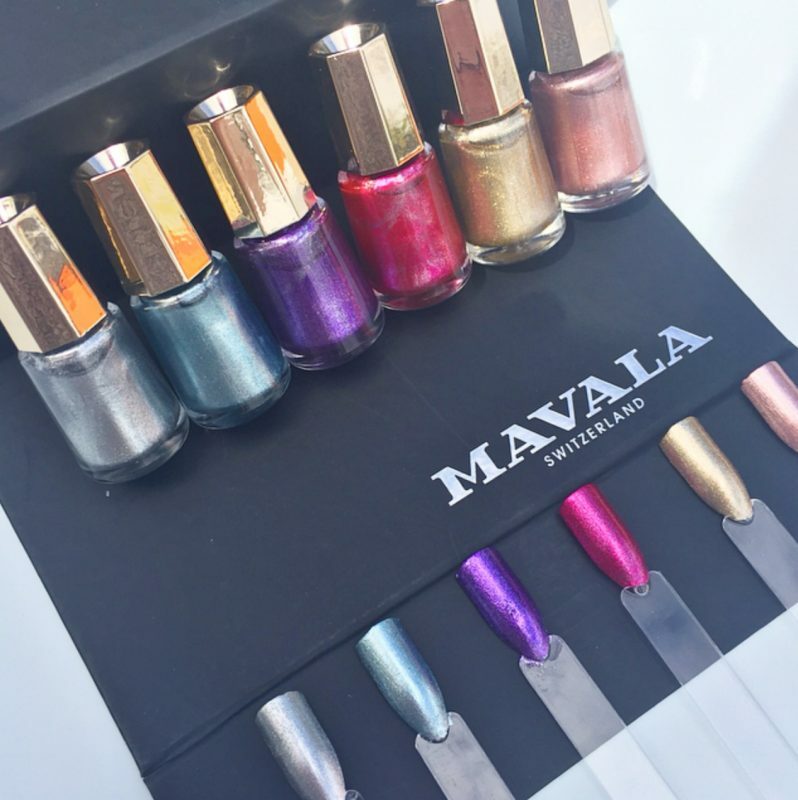 I was ecstatic to receive the latest Mavala nail polish collection of Mavala Cyber Chic metallic nail polish, to enable me share this Mavala nail polish review with you. Click HERE to read a review of Mavala skin care and click HERE to read my review of the Mavala Bubble Gum Collection of nail polishes. Looking interstellar is the latest fashion trend for this Summer. Foil-like metallic fabrics especially futuristic silver, ultra reflecting mylar-like leather and similar iridescent, seemingly holographic materials are totally in. Thus this latest Cyber Chic Mavala nail polish collection is right on trend! If you are planning to apply the Mavala Cyber Chic nail polish to your toes and are wanting your feet to look their best you may be interested in clicking on this link to read our article on What Causes Cracked Heels and How To Fix Cracked Heels. 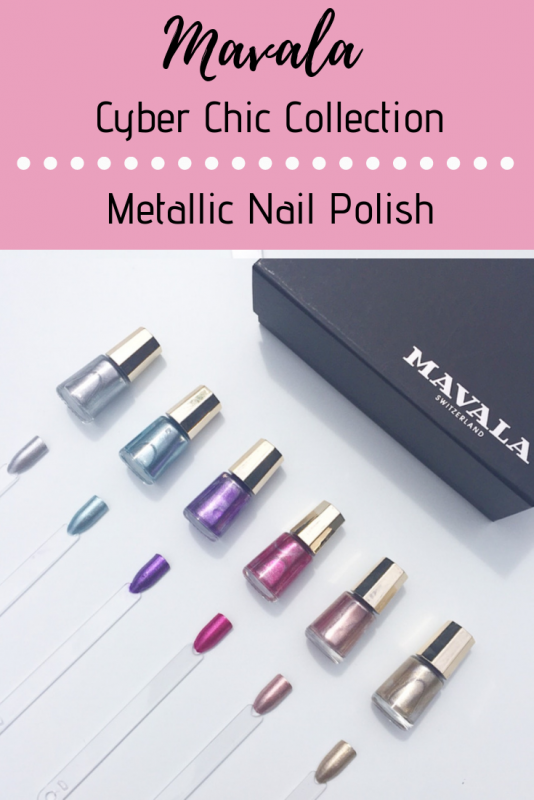 If you love metallics and silver as much as I do you will absolutely love the Mavala metallic nail polish colours in the new Mavala Cyber Chic Collection. I’m already calling this Mavala Cyber Chic Collection the best metallic nail polish collection ever! The sparkle and high shine of these polishes is out of this world. I love silver and metallics, I always have. Every one of these shimmery metallic colours has me swooning! They are so shimmerliciously gorgeous! Yes that is now an official word in case you’re wondering. 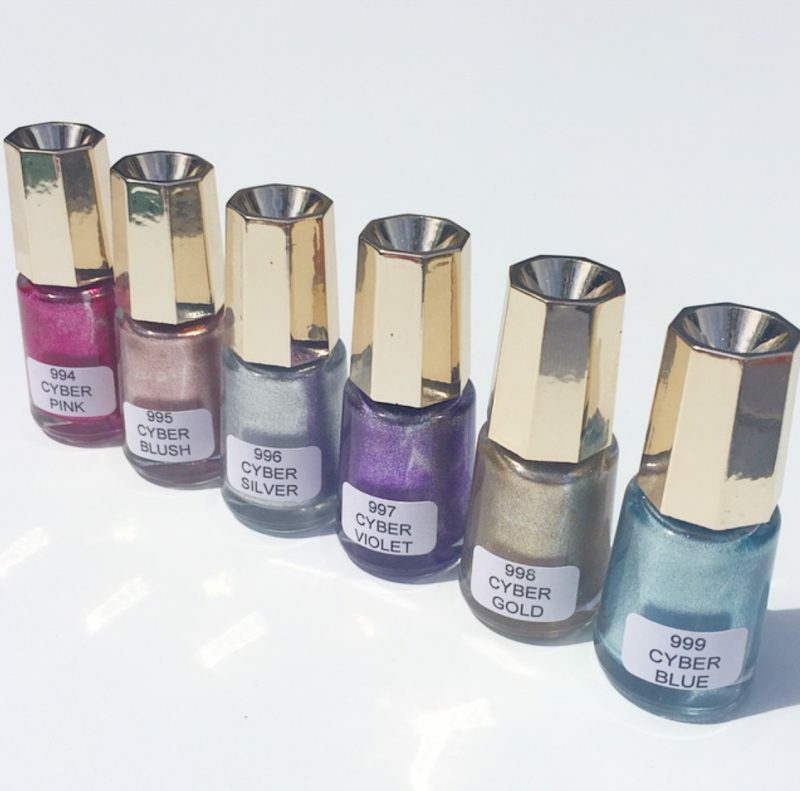 Just look at these stunning Cyber Chic Collection Mavala nail polish swatches. Do keep in mind however that each of these Mavala swatches looks even better in real life than in my photos. The Cyber Blue in particular is the best light blue metallic nail polish I’ve ever seen! Fun random fact: This Mavala Cyber Blue nail polish recently elevated me to ‘Best Aunt’ status with my young niece after I applied it to her nails when she came over dressed up as Elsa from Frozen. I suspect she may come over dressed up as Elsa more often now – lol! Maybe I’ll need to buy her a bottle of her own. My other absolute favourite shade in this collection is the Cyber Blush. Regular readers of Fabulous and Fun Life will know of my ongoing obsession with all things rose gold. 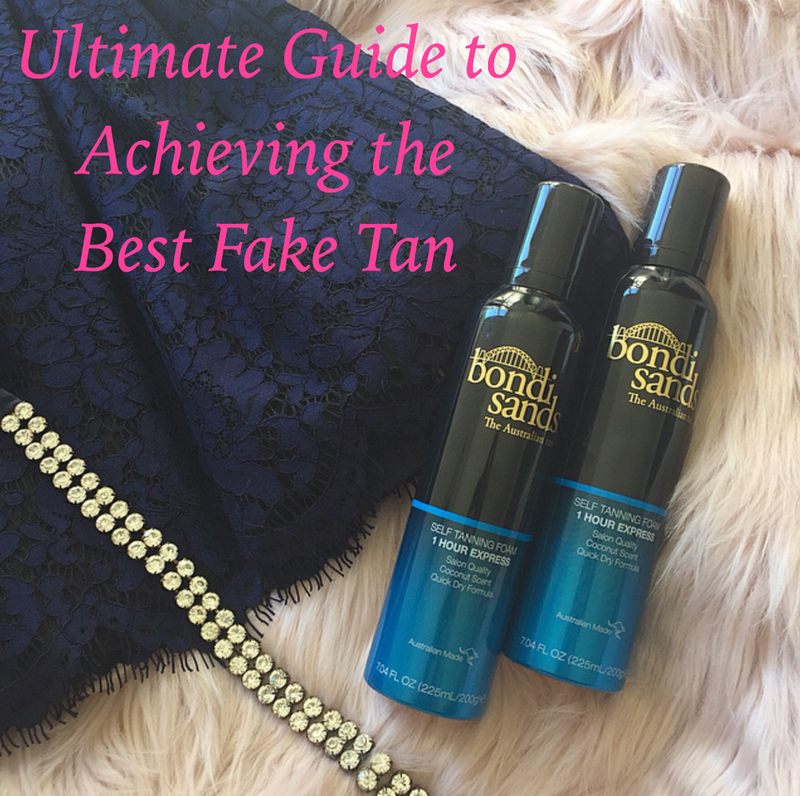 Rose gold is such a flattering colour for every single skin tone. 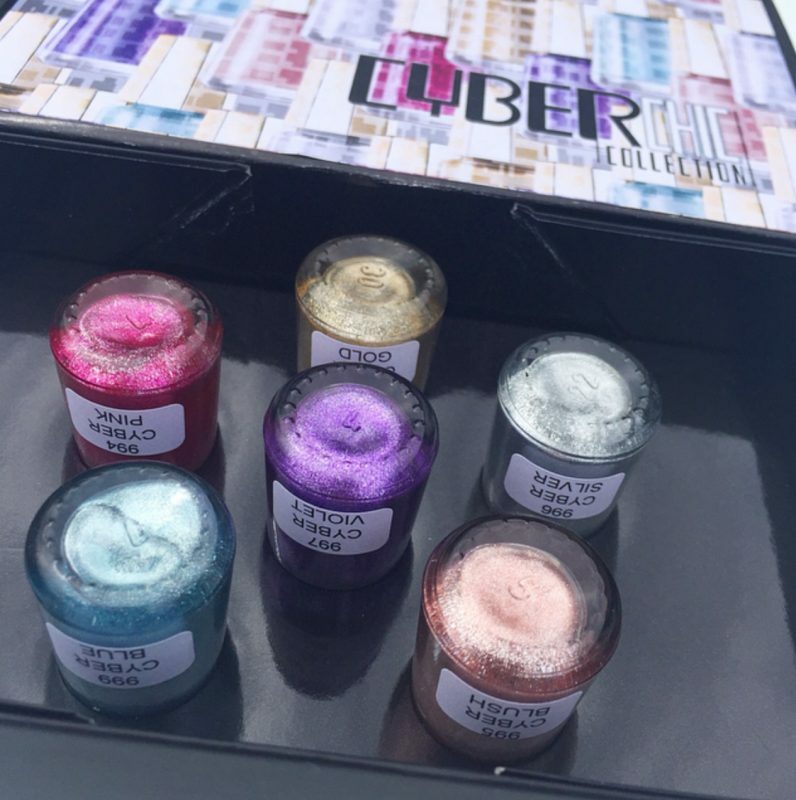 The Cyber Blush in this collection is stunning! 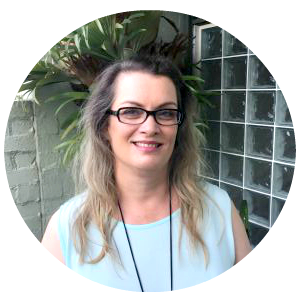 All the reviews I’ve read of Mavala Australia wide are overwhelmingly positive. My Mavala review is positive too. 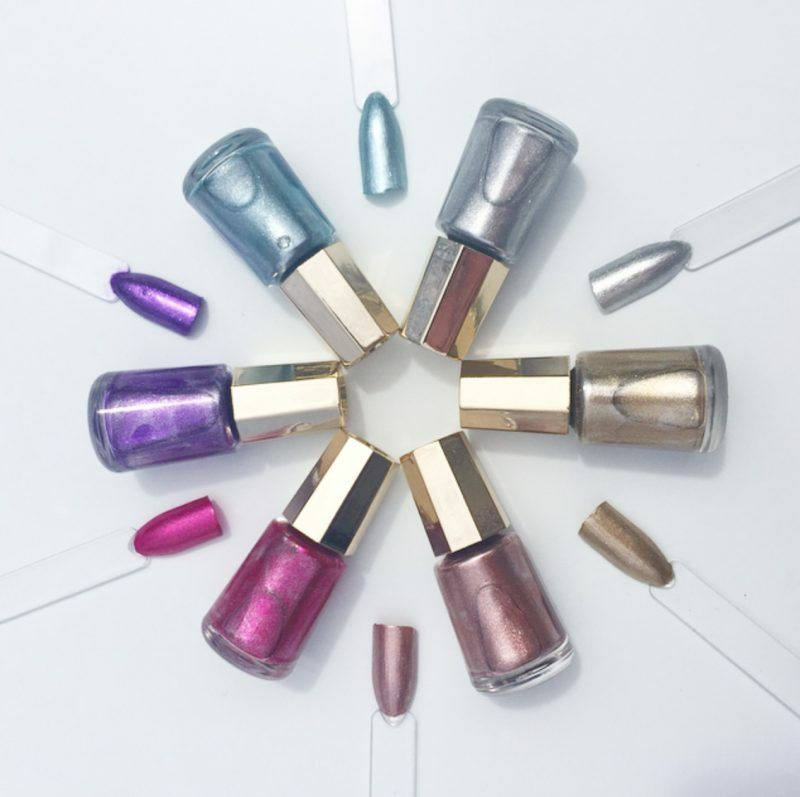 These polishes come in cute mini bottles with beautiful octagonal golden cap lids. I love the Mavala mini nail polish bottle size. Not only does it look adorable but it is so handy to keep in my bag and I’m more likely to use up the whole polish with no waste in one season. 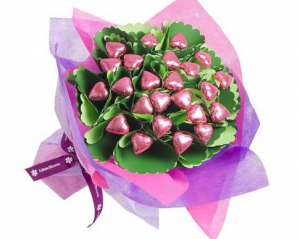 Thanks to it’s small size it is also more affordable enabling more colours to be bought! I found these Mavala nail polishes to apply beautifully. Flying insect problems aside, I had no problems achieving an even and streak-free finish with two coats of these Mavala nail polishes. The pigment of these polishes is good enough to get away with only one coat if you’re in a hurry but two coats plus a top coat will obviously increase the longevity of the application. The short yet wide brush is easy to control and apply with. The polish dries quickly and it lasted surprisingly long on my nails. I got 10 days wear from my application which for me is amazing as I use my hands a lot! The high shine metallic finish of these Mavala Cyber Chic collection shades is stunning. What impressed me the most is what these Mavala nail polishes DON’T contain. 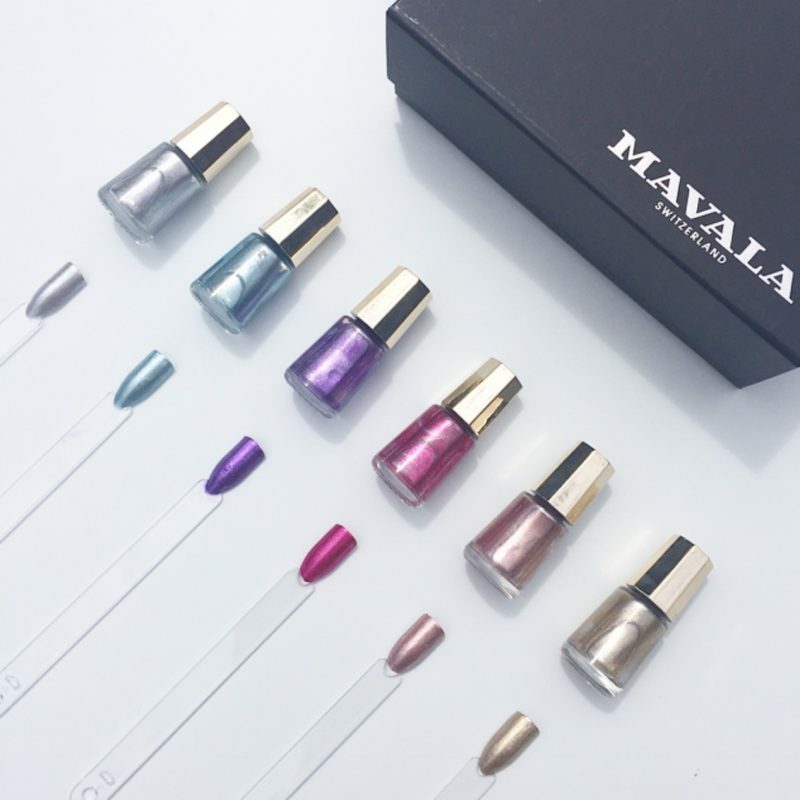 Given that Mavala nail polishes are free from any chemical nasties, and apply and wear so beautifully it is no surprise to me that Mavala mini colours have won so many beauty awards year after year including winning a Cosmopolitan Beauty Award this year and numerous Natural Health Magazine awards in previous years. For those of you wondering where to buy Mavala nail polish Australia wide, Mavala nail polish is available from selected pharmacies nationally and online at http://www.mavala.com.au. Have you used any Mavala nail polishes? Which of these Mavala nail polish colours appeals to you the most? That light blue is absolutely stunning ! Never heard of the brand but it looks so nice ! I LOVE metallics, they are so pretty and fun! I’m vibing Cyber Blush and while I’m here let’s all say a prayer for that bug that died in your Cyber Violet swatch. RIP little buddy. They are so beautiful! I haven’t had a chance to play with mine yet! I love the Mavala polishes though, they just last really well and the colours are always so beautiful.